Some of you really love to experiment with your desktop from time to time. You change wallpapers, icons, add docks, etc. 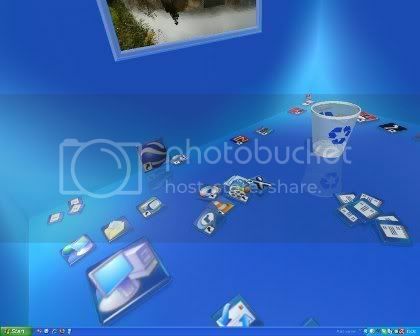 Today, I have got something cool for you which transforms your ordinary looking desktop into a 3D workspace. 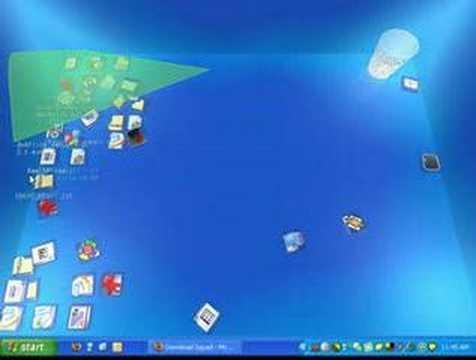 Real Desktop gives your ordinary desktop new life and turns it into a Real Desktop. You can move icons around the screen with a left click. Click both of your mouse buttons to “pick up” an icon, or click the edge to rotate it. Real Desktop comes in two version- Lite and Standard. The Lite version is free and the Standard will cost you $25. The standard version has certain additional features like ability to change the design of real-desktop, select your personal wallpaper as a wall-image, and use advanced features such as the scaling of symbols, throw files into folders, the camera position-changing, etc.